One of the benefits of making a will is that there is certainty surrounding your wishes on your death. Unfortunately, however, wills (or the lack of a will) can sometimes result in a dispute between the deceased’s loved ones. We look at the most common situations, and the different grounds available for challenging a will. It is important that a will is clear and up to date. If it is not, it can leave some doubt as to the testator’s (will-maker’s) intentions. Where the testator’s intentions are not clear, a beneficiary (someone set to receive benefit from the will) may be able to come to an agreement between the beneficiaries on the intended meaning. If an agreement can’t be made, however, you may be able to seek a declaration from the court on the construction of the will. The court will look at the language of the will to see if the intention of the testator can be determined. If the court can’t establish the testator’s intention from the wording, it will then look at the surrounding circumstances. Where a will has been poorly drafted, there may also an option of bringing a professional negligence claim against the firm that drafted the will. The more complex the gifts in the will, the higher the understanding required by the testator. A beneficiary can pursue a claim against the estate on the basis that the testator did not have capacity when making the will. It will be for the beneficiary to prove that the testator did not have capacity. In some situations, you may choose to leave a close relative out of your will. If this is your intention, the solicitors should advise you to show that you have intentionally disregarded them. The solicitor can make a detailed file note of your reasons. The solicitor will keep the note on the file so that there is a contemporaneous record of your reasons for not benefiting a specific person. Doing this may lessen the likelihood of any disgruntled family members making a claim against the estate. For example, by arguing lack of capacity and that the testator ‘simply forgot’ to include them, or that there is no legitimate reason for them not to benefit. There have been some notable cases regarding the non-provision for a family member. Just last year, the case of Illot v Mitson looked at where a mother left her daughter out of her will. This case also highlights how to make a claim under the Inheritance (Provision for Family and Dependants) Act 1975. A failure to adhere to proper formalities. For example, a will must be properly signed and witnessed. Lack of testamentary capacity. Discussed above. Lack of knowledge/approval. The testator must know the contents of the will and must have given their approval of this. Undue influence. This can occur when a person puts pressure on or coerces a testator into changing their will or making provisions that they may not necessarily have made, but for the undue influence. A challenge to a will can lead to a variety of outcomes. For instance, if the will is held to be invalid the estate may be shared out under the Intestacy Rules or perhaps according to a previous will. The outcome is entirely fact specific to each case. It is important to ensure that when drafting a will you get thorough advice from a solicitor. By making sure that you have a carefully drafted will that fully demonstrates your intentions, you are ensuring that it is less likely that a disgruntled family member challenges your estate after your death. 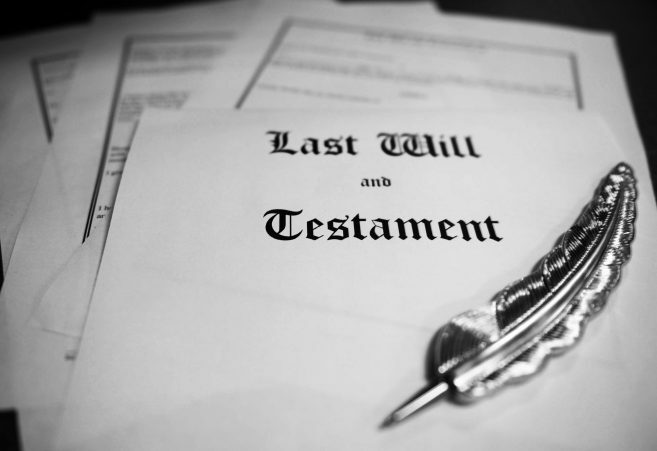 Equally, if you are a beneficiary and are concerned that the estate has not been administered in accordance with the testator’s intentions, you may be able to challenge the validity of the will. If you are concerned about the validity of a will, or looking at challenging a will, we can help. So, contact our contested wills team today on 0800 988 7756 for a FREE initial consultation.